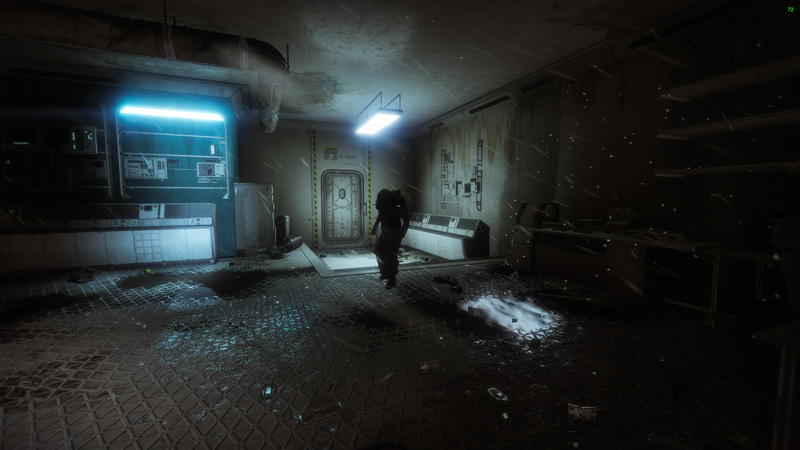 Where is Xur and What is He Selling in Destiny 2 for March 2, 2018? Xur, the Agent of the Nine has returned, and he's brought his exotic goodies for Guardians to browse through. While Destiny 2 takes an off week in terms of ongoing events, Fridays are still worth logging in if only to see what Xur, the Agent of the Nine, is packing. Guardians who have yet to complete their exotic collections will want to keep a close eye on what he's selling. 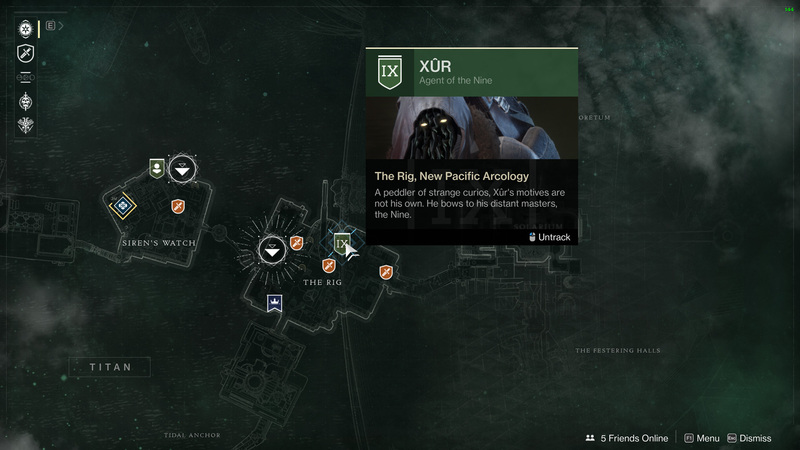 Xur is in The Rig region on Titan. Open your map and set a waypoint directly on his icon. When you spawn in on Titan you will be guided directly to his location. Kind of takes the fun out of it, huh? Xur has brought two items that he tends to lug with him each week. One is the Three of Coins, but it's just not worth you picking up at this point. The other, the Fated Engram, is a fantastic way to complete your exotic collection if you're just missing a couple of pieces, regardless of whether those pieces are armor or weapons. If Xur is selling something you don't have, buy that item. Focus on completing the exotic collection of armor for your main class, then work the others and the weapons. If you're down to only need a few items, the Fated Engram is a great way to pick up what you need without having to worry about RNGesus playing with your exotic drops. Xur stays in the Destiny 2 universe until the weekly reset on Tuesday. Be sure to visit the Shacknews Destiny 2 complete strategy guide if you are looking for help with any other part of the game, Guardian.